What is the ovarian reserve and what does it mean for fertility? Home > Blog > What is the ovarian reserve and what does it mean for fertility? The ovarian reserve simply describes the number of egg follicles remaining in a woman’s ovaries. Clearly the ovarian reserve therefore has implications for fertility or infertility, but it is not a simple yardstick. It is quite possible to have a low ovarian reserve and still conceive naturally, or to have a high reserve and yet have difficulties in becoming pregnant. In this article we explain how the level of a woman’s ovarian reserve can be detected. We also examine how testing the ovarian reserve can help clinicians to recommend the best type of help for infertility issues and how a knowledge of their status can help women to make important decisions about their fertility both currently and for the future. How can you find out the level of your ovarian reserve? In general, women are born with approximately 1,000,000 oocytes, but by the time puberty is reached and menstruation begins, only about 400,000 follicles remain, of which some 1,000 are lost in each menstrual cycle. Therefore, by the age of 35 the ovarian reserve represents approximately 10% of the initial oocyte count and continues to decline from that point onwards. Age is therefore the deciding factor in terms of ovarian reserve. However, there are tests which will provide an insight into whether your reserve is in line with that expected from a simple calendar calculation. A test frequently used to determine the level of ovarian reserve is to measure levels of AMH. This refers to the Anti-Müllerian Hormone, a substance secreted by developing egg sacs (ovarian follicles). The higher the number of eggs remaining in the ovaries, the higher the level of AMH in the bloodstream. Therefore, a low level is considered to be a sign of a low ovarian reserve, i.e. few remaining follicles. This would be normal for a woman who is approaching menopause. Conversely, a woman who has polycystic ovarian syndrome, characterised by the presence of many small ovarian follicles, would normally be expected to show high levels of AMH. You can find out more about low AMH levels and what they mean for fertility in our blog article about low AMH levels on the IVI website. 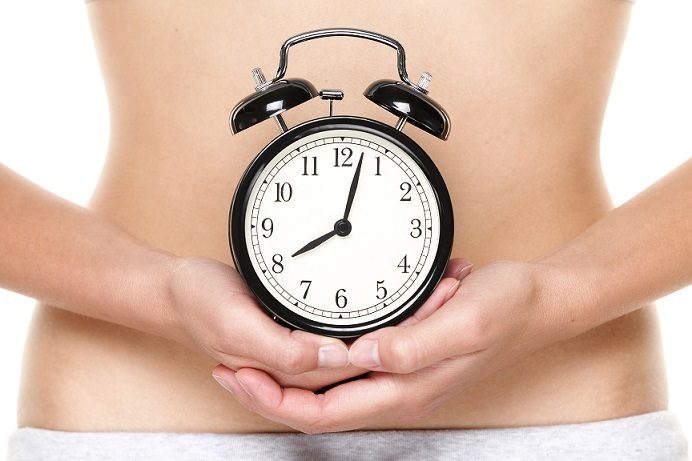 What does the ovarian reserve level indicate for fertility in the future? In general ovarian reserve levels are highest in young women. What does this mean for women who would like to start a family in the future, but wish to delay this for career-building or other reasons? There is a growing awareness that there are now options for the preservation of fertility into the later reproductive years. This affords opportunities that were not available to previous generations. The method? The vitrification of oocytes. This allows a woman to delay parenthood until she decides she is ready. This process allows the mature eggs obtained following ovarian stimulation to be cryopreserved so that they can be used at a later date. They will have the same prognosis as they did at the point when they were vitrified. Due to the fact that ice crystals do not form, oocyte survival rates are high, allowing motherhood to be postponed with a reasonable guarantee of success. Naturally enough, the best time to have oocytes vitrified is when the ovarian reserve remains high, and for most women this means between the ages of 25 and 35. Even though oocyte survival rates are similar when vitrification is undertaken later, the resulting pregnancy rates are lower when the patient is somewhat older. This is also the case when fresh oocytes are used. This fact of nature explains why, if a woman wishes to preserve her fertility for a time in the future, it is a decision best taken well in advance. 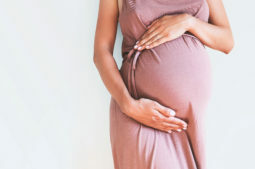 The technique is also one of the options available to women who are due to undertake cancer treatments and thus want to safeguard their fertility beforehand. How does vitrification of oocytes work and what does the treatment involve? The main advantage of the vitrification of oocytes as opposed to traditional freezing is that ice crystals, which would damage the oocyte, do not form. As a result, around 97% of the oocytes survive the process. Furthermore, the same clinical results are obtained as when fresh oocytes are used. Treatment follows a similar pattern as that for a standard IVF procedure. First is the administration of daily injections which cause the ovaries, instead of producing a single ovum which is what they do naturally each month, to produce more oocytes so that a larger number of can be obtained for preservation. This treatment takes place at an IVI assisted reproduction clinic and spans between 10 and 20 days, depending on the protocol used and the speed of response of the individual patient. 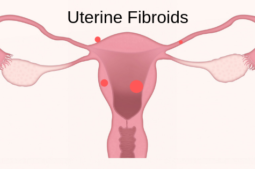 During treatment, a series of 3 or 4 ultrasound scans is carried out and hormonal blood levels are checked to confirm that there is normal growth and development of the follicles. Oocytes are then retrieved in the operating theatre under sedation so that the patient does not feel any kind of discomfort during the procedure, which lasts approximately 15 minutes. At this point the method diverges from the traditional IVF technique, whereby the eggs that have been retrieved are fertilised and the most promising embryos transferred to the patient’s uterus. In the case of vitrification, the oocytes are not fertilised but immediately subject to the vitrification process and subsequently stored in liquid nitrogen. It’s as simple as that. The patient is then free to live her life as normal until such time as she decides to use her eggs in order to reach the goal of parenthood. There is no time limit on how long the vitrified oocytes can be stored, so patients really can wait until the time is right. When that time comes, the procedure again follows the familiar pattern of normal IVF treatment. The de-vitrified eggs are fertilised with sperm from the woman’s partner or a donor and implanted into the patient’s uterus in the normal way. To learn more about how the process works, why not have a look at our video on the vitrification of oocytes on the IVI YouTube channel? Remember also that you can always browse our website for the most up-to-date facts and figures about the options available and how our clinics may be able to help. As the treatment of choice for the preservation of fertility, vitrification is one of the possibilities for patients about to undergo cancer treatment. Radiotherapy and chemotherapy speed up the natural reduction in the number of follicles and prevent them from maturing. This, together with the fact that ovaries cannot regenerate, can lead to premature ovarian failure. Before the advent of egg preservation techniques, this meant that infertility was often inevitable. Luckily, science has since moved on. The vitrification of oocytes for cancer patients allows pregnancy to be postponed until the patient has recovered from the disease, with the same reproductive prognosis that they had when the oocytes were vitrified. It is important to get advice on the options in terms of preserving fertility as soon as the diagnosis has been made and treatment with chemotherapy is being considered. There are several factors that we need to take into account when considering the vitrification of a cancer patient’s oocytes. These include her age, her ovarian reserve and the time available to us before chemotherapy starts. The reproductive prognosis will depend greatly on the number of oocytes which we succeed in vitrifying. While it is not possible to guarantee a pregnancy, we do our utmost to help patients conceive through IVF. We hope that this article has helped you to feel better informed about the ovarian reserve, its implications for fertility, and the options available to you for preserving fertility until the time is right. When the time is right for you, and you feel ready to visit an IVI clinic, you can do so to discuss any concerns you may have in your particular circumstances and the different types of fertility and fertility preservation treatments that may interest you. Your enquiry will be met with a friendly and helpful response. You are welcome to contact us through our online contact form. A specialist will then get back to you without delay. Alternatively give us a call on 08 000 850 035 if calling from the UK or +34 960 451 185 from other countries.